Open Day Saturday 21st October - Please call the office to arrange a viewing. This lovely three bedroom family home has been totally refurbished to a very high specification and must be viewed. With two double bedrooms and a single bedroom this house also has a stunning family bathroom and en-suite shower room in the master bedroom. Downstairs there is a lovely lounge with opening to the newly fitted kitchen/dining room, containing a range of high gloss white base and wall units with wooden worktops, electric oven and hob, integrated fridge/freezer, integrated dishwasher. There are two storage cupboards, one housing the washing machine and new gas boiler and the second a useful storage space. The dining room has patio doors out to the garden which is laid to lawn and also has a decked area. Upstairs there is a useful storage cupboard on the landing. There are two good sized double bedrooms, one with en-suite shower room, the third single bedroom and a family bathroom. Outside to the front is off-street parking for one car. The house has undergone a total refurbishment including new gas boiler with 5 year warranty and complete rewiring. 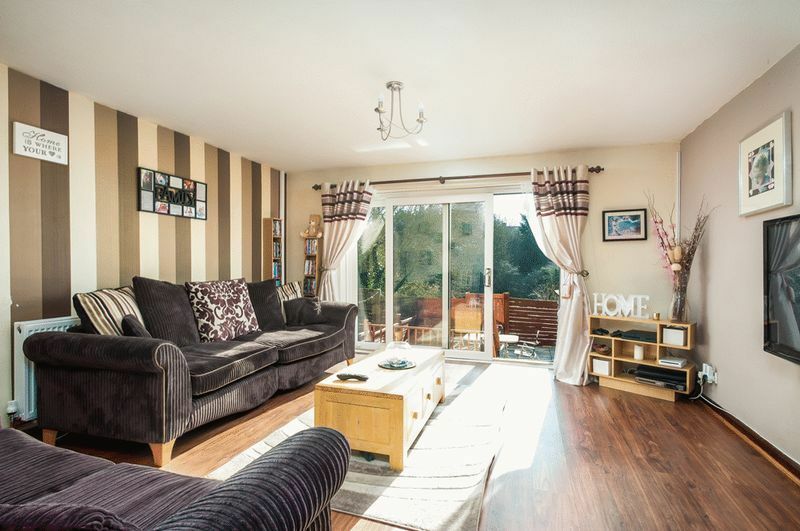 The house is nicely presented with neutral decoration, wooden flooring on the ground floor and neutral carpets upstairs. Please note the vendor of this property is related to Sarah Clark, a Director of Sarah Clark Property Consultants. This is a declarable item under the Estate Agents Act 1979.